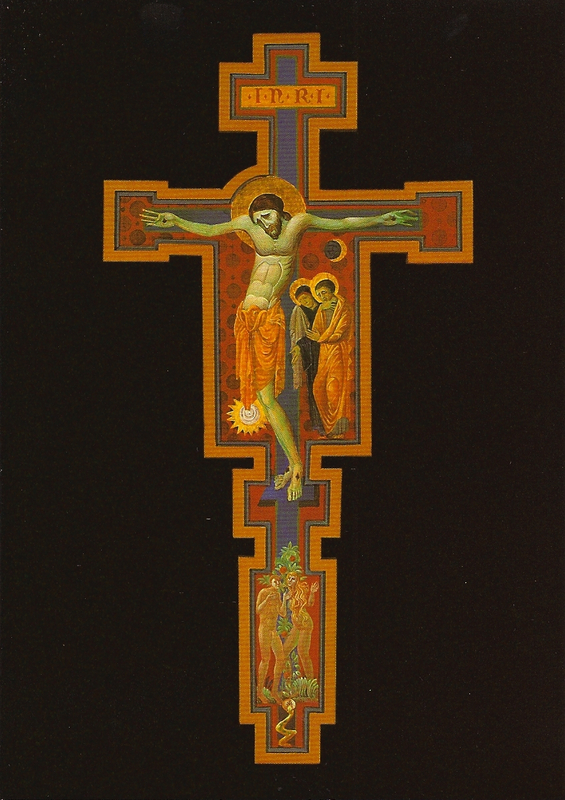 This crucifix was designed, then, for this daily chapel and he made up the framed panel himself. The design is of course based on many early Italian crosses – particularly those of the “Master of the Blue Crosses”. Here, though, he stretches the standard form to include Adam and Eve and the Tree. Note how he places Mary and the Beloved Disciple together to one side and scatters the moon and sun to create interest and what he called “incident”. The whole project was nearly compete when a new pastor decided he knew better (they teach them that in seminary) and asked for the project to be completely re-done. In fact he asked me to make all new pieces for the chapel. I refused. Bolton was crushed as his love-offering, which is what it was, had again been turned aside as unworthy. Unworthy in the mind of that particular priest meant not expensive enough. Completed and commissioned by the Archdiocese of Philadelphia for the 1976 Eucharistic Congress. 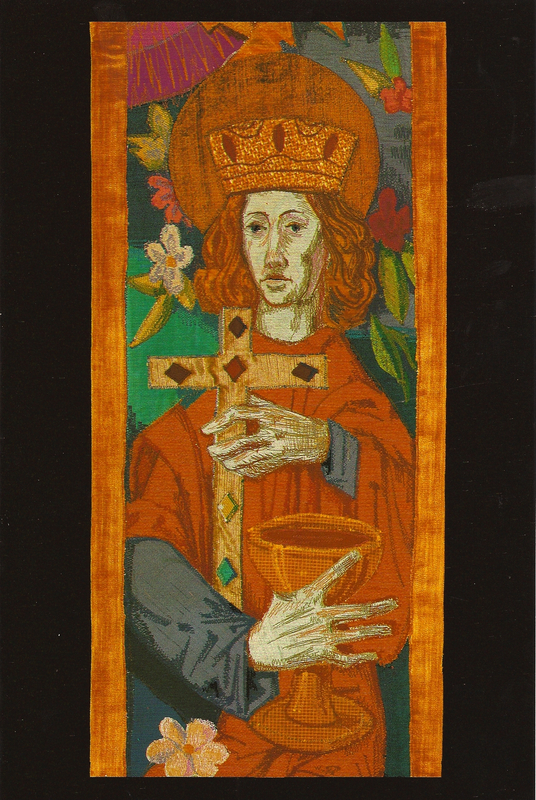 This detail, from the tapestry series Lauda Sion, of the Church personified by a woman hangs in the archdiocesan offices. The tapestries are machine embroidery on appliqué fabric. They were produced in a tiny alcove in the bathroom of Morris’s residence on a simple Singer home sewing machine. I had the privilege of cutting up many of the bits and pieces while Bolton frantically attempted to finish the project on time. This was not to be as he habitually gave far more in terms of art and craft to every project with no regard for his economic security. 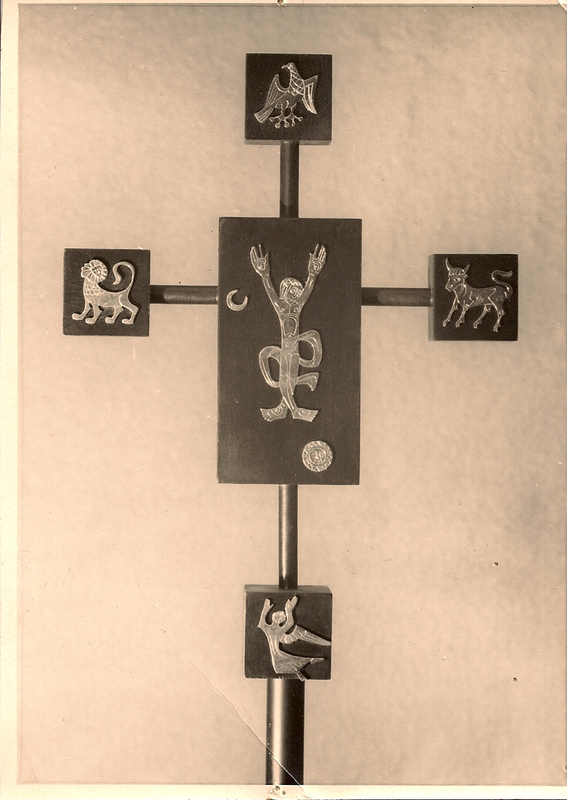 Bolton Morris made this processional cross for a liturgical art exhibition in Pittsburgh, Pennsylvania ca 1955. Like many of his works, this piece may no longer even be extant. Working often for little or no remuneration, but out of devout love for the Catholic Church, his pieces were often destroyed by neglect, but even sometimes willfully. You are currently browsing the Bolton Morris Church Artist blog archives for July, 2008.